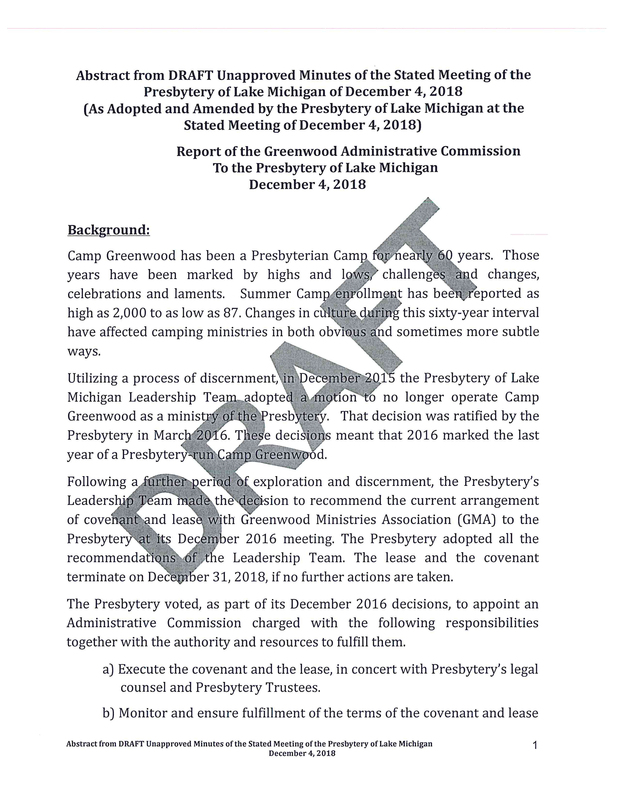 Presbytery of Lake Michigan members voted during their December 4, 2018 stated meeting to sell some properties that are part of Camp Greenwood. 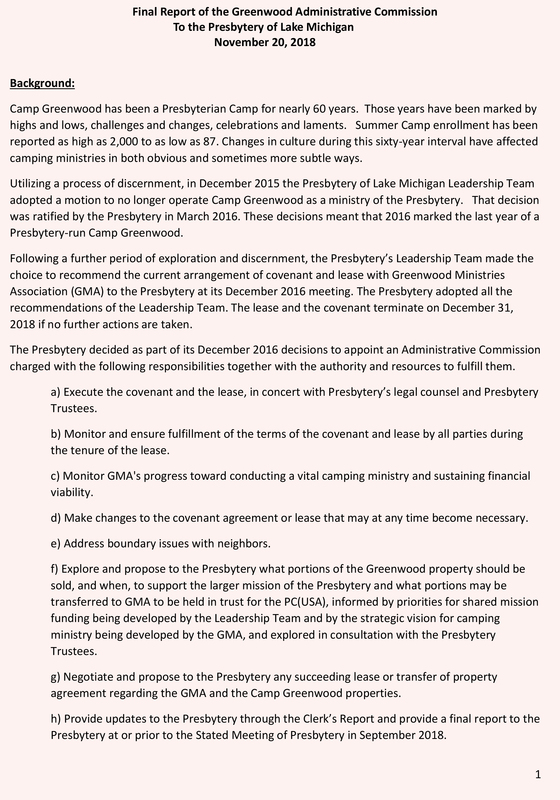 The members also decided to offer the Greenwood Ministries Association, a separate 501(c)3 not-for-profit group, a three-year lease to continue operating the camp and the opportunity to purchase parts of the Camp Greenwood property under certain conditions and stipulations. 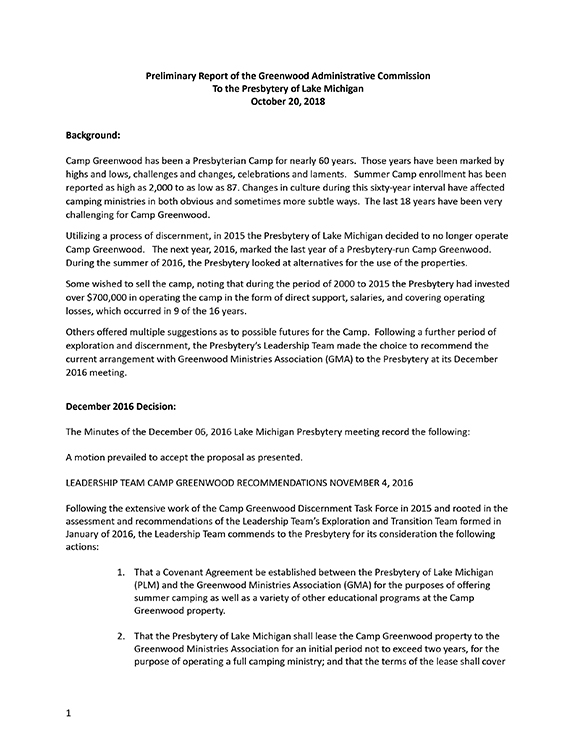 Access a DRAFT summary of the discussion and actions taken during the December 4, 2018 stated meeting by clicking here. 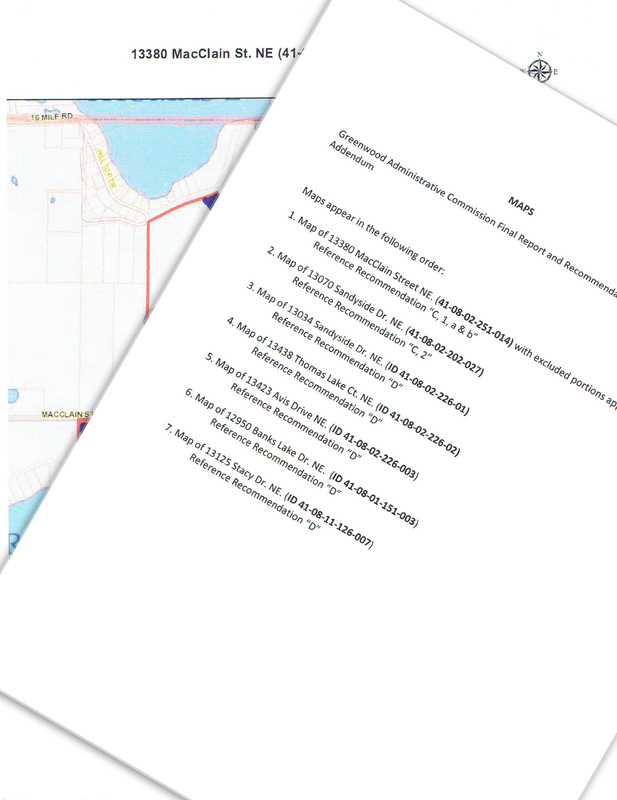 These records will not be finalized until the next stated meeting slated March 16, 2019.